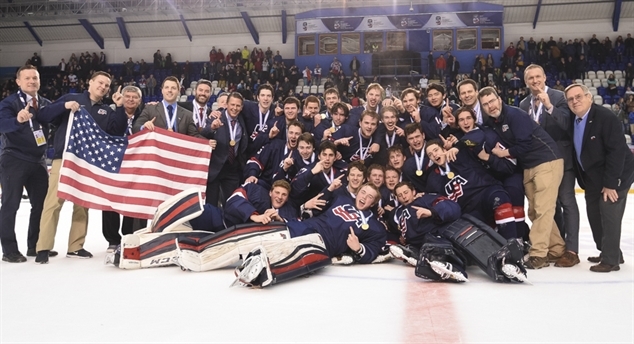 U.S. going for gold The Americans will be trying to win their seventh gold at the U18 in the last nine years after beating Sweden for the 13th time in 15 all-time meetings. Finns win semi 2-1 in OT Toni Utunen’s one-time blast from the point gave Finland a 2-1 overtime win in the semi-final against Russia. They go to the final for the third straight year. Win with U18 hockey trivia How well do you know your U18 hockey history? See if you deserve a gold medal by doing the following quiz with 10 trivia questions. 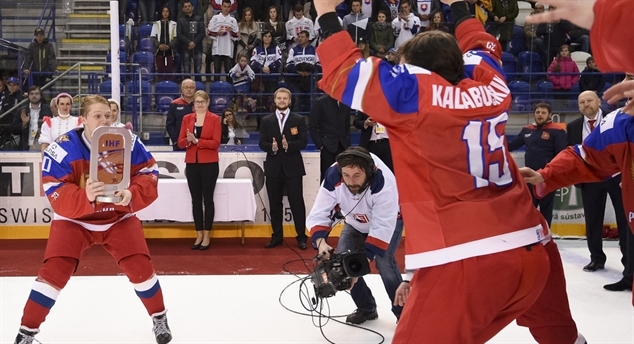 Slepets scores in OT Slovakian president Andrej Kiska was among the throng of 4,496 spectators who witnessed a thrilling quarter-finals game, won in overtime by Russia, 3-2. USA survives Swiss scare Josh Norris and Jacob Tortora scored 27 seconds apart late in the third period to break a 2-2 deadlock and give Team USA a 4-2 victory over Switzerland. 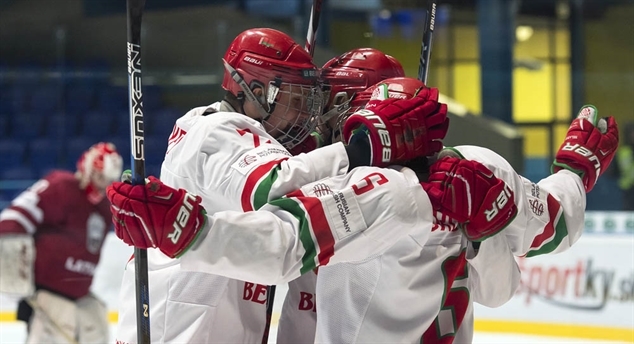 Finns survive scare, win in OT The Czechs mounted the greatest comeback in U18 history only to lose with 58.5 seconds left in overtime. Swedes down Canada 7-3 With goals in the last minute of both the first and second periods, Sweden built up a 4-2 lead, then cruised to a 7-3 quarter-final win over Canada.